Episode #135: We are always trying to provide our little ones with quality outdoor time, but this is usually just a small part of their day. What would it look like to take this to its most extreme and provide a preschool that is ENTIRELY outdoors? Yes, you read that right — 100% outdoors, all year long. 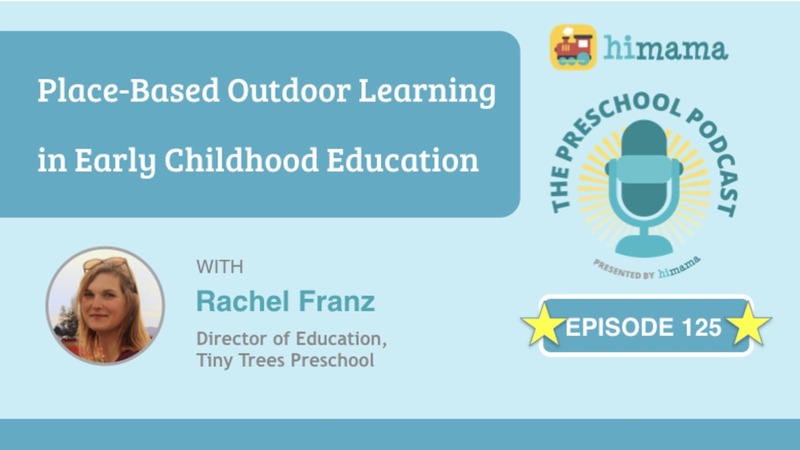 In this episode, Tiny Trees Preschool’s Rachel Franz explains what outdoor preschool looks like, the benefits it provides, and efforts underway to create proper licensing to bring the outdoors to more families across the world. Rachel FRANZ: And then there are some programs that just don’t get children out at all. And so I think that not only do we have a crisis with children who are not getting outdoors – and therefore not getting those health benefits and those psychological benefits – and so I think we’re going to start to see an increased requirement for students to get outside. Ron SPREEUWENBERG: Hi, I’m Ron Spreeuwenberg, co-founder and CEO of HiMama. 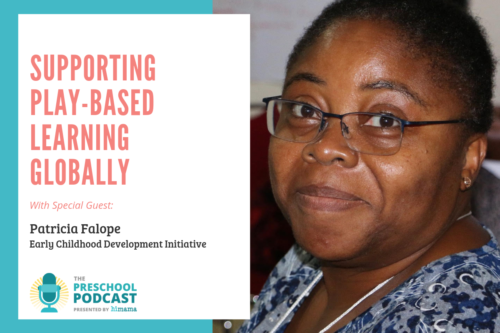 Welcome to our podcast about all things “early-childhood education”. 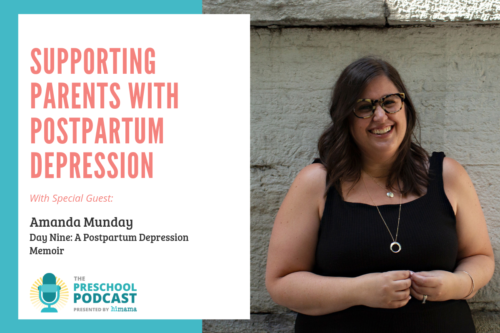 Rachel, welcome to the Preschool Podcast! FRANZ: Thanks so much for having me! SPREEUWENBERG: We’re very excited to have Rachel on the show today. Rachel Franz is the Director of Education at Tiny Trees Preschool, which takes a really unique and really cool approach to early-childhood education. Rachel, maybe you can start off by telling us about Tiny Trees and what is unique about Tiny Trees Preschool? FRANZ: Yeah! So, Tiny Trees is an all-outdoor preschool. So we don’t have buildings. We are in Seattle, which is a very rainy city, so we provide our students with rain suits and boots. And we do preschool all outdoors. And it’s also one of the largest outdoor preschools in the world. We serve around 310 families right now. And really the mission is to get as many children as possible outside having a joyfully muddy childhood. SPREEUWENBERG: Okay, so the first point, just to stress and make really clear, is the word “all”, “all outdoors”. So we know a lot of folks in early-childhood education understand the importance of spending time outdoors and being in nature. But the idea of being always outdoors and always in nature is very unique. How does that work practically for you? FRANZ: Yes. So it definitely is a challenge at times. So our preschools have what’s called a “permanently located outdoor classroom”. And what we do is we partner with public parks to sort of preserve a little tiny corner or a pocket in a park. And we build things like log circles; we have big stumps for tables; we have a shed with all types of materials, some traditional, indoor classroom materials like blocks, people, cars, and then outdoor related tools as well. So magnifying glasses, binoculars, mushroom guides, [etc.]. 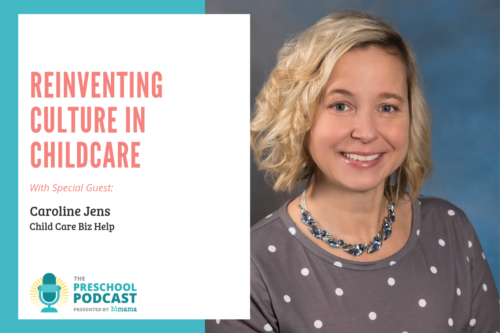 And we find that we can do preschool in just as much of a high-quality way outdoors, if not more just by having a place in the park set aside for what we do. SPREEUWENBERG: And what about the weather? So do kids get really wet? Do they get cold? Like, how do you deal with that? FRANZ: Yeah, this is the question I think that we get the most. So like I said, our students are provided with rain suits and boots. And this helps us to achieve part of our equity mission, which says that there shouldn’t be as many barriers to getting kids outside. So we provide part of that gear. SPREEUWENBERG: And so it sounds like being really prepared is part of it. And as you said, too, it might actually help with their awareness of those things. So that’s an interesting point, too. Now, you said there’s about 310 families with Tiny Trees. How are the families finding out about this program? 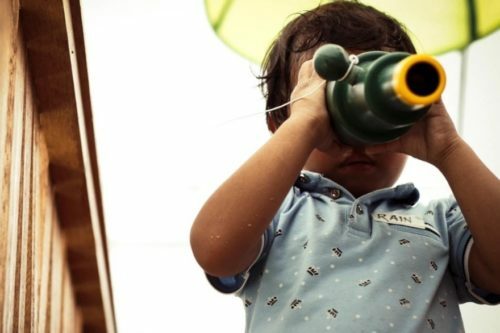 Are they finding you because they know that nature-based outdoor play is really important and they’re coming to find you? Or is there, like, a big educational component around this? Because I don’t… I guess the reason I ask is, I don’t feel like a lot of parents would necessarily start out by looking for this, although once they see your programs and the value and then maybe they would be really interested. I think that we’ve also used a lot of social media to just show videos of what it looks like because I think you can be a little abstract. This is a concept that has been done in Europe especially. But in the United States it’s still growing in terms of people’s understanding and acceptance of it. So a lot of education in that way, but also just being there I think has really helped. SPREEUWENBERG: And so you mentioned the idea of it maybe being a little abstract. Maybe we can help our audience to understand a little bit more about what you do at Tiny Trees by providing some examples of things you would do and learning activities with the children while they’re in the program? FRANZ: Certainly. So we actually use the High Scope curriculum, which is a curriculum that has been adopted across the city in Seattle. And so what High Scope invites us to do is to have a consistent, daily routine, to have high-quality adult-child interactions, to set up our environments in ways where children can be autonomous. And so it’s basically like setting up a high-quality preschool in the outdoors. What makes us different is that instead of going out for recess or outdoor time, we’re already outdoors. And so we can really challenge what children might do in the outdoors and enhance their science learning and their literacy learning and their math learning through all-outdoor experiences. So one example might be that the group would go out on a hike in one of our parks. And it may just be an exploration hike where teachers are following the children’s interests and play and making it a making the journey really count. And along the way they’re identifying the different symbols and numbers and letters on the signs on the trails. And then they’re finding various native plants and identifying those, and sometimes they’re even edible. And so we might harvest those and bring them back and make tea. And so we also do painting projects. We might paint with traditional paint and paper, but we might also paint with mud or smooshed berries. So it really opens up the possibilities of the different things that we can do. SPREEUWENBERG: Cool, cool. Thank you for sharing. And one of the things I understand that’s also unique about this approach is that it kind of changes the financial model a bit, and also to the point where there may be below-market tuition rates for those looking for preschool opportunities for their children. Can you tell us a little bit more about that? FRANZ: Right, and this is something that I think to be transparent our organization is still grappling with. But the idea is that we when you take away the building you don’t have as many overhead costs, and therefore you can invest more money into paying teachers well, into supplying ample materials, and the budget and planning time, and lots of other things that I think that many preschools especially really struggle to provide in an equitable way. We also have to be very intentional, regardless, about our financial model because we want it to be equitable. So we are able to provide tuition-free spots through a partnership with the city of Seattle; we’re able to provide a lot of financial assistance through a lot of fundraising; and then we balance that out by having families who pay our full tuition price. So costs are ideally lower because we don’t have overhead. We also try to [work] with an additional adult, as well. So that’s an additional expense. But we try to be really intentional about keeping the rates low and meeting our community’s needs before profit, of course. SPREEUWENBERG: Cool. And what do you think about the future of preschool programs like this? Do you think this is something that’s going to catch on? You mentioned you’re one of the larger ones in the world. So, on the forefront of this do you anticipate this will be adopted by other preschools? FRANZ: You know, I think so. I think that there is a huge gap in the amount of time that children are getting outdoors. So we are sort of one of the more extreme situations where we’re having kids outside for four hours a day. And then there are some programs that just don’t get children out at all. And so I think that not only do we have a crisis with children who are not getting outdoors and therefore not getting those health benefits and those psychological benefits, and so I think we’re going to start to see an increased… not “need”, but requirement for students to get outside. And I think that programs like ours have the ability to educate programs, even if they’re only getting outside for 30 minutes a day. They have more tools for how to do it how to make it work, how to apply various learning standards to being outside. We’re all in a time crunch to meet different learning standards. So I think that there can be some cross-exchange, even if people aren’t ready to get all-outdoors. SPREEUWENBERG: Yeah, that makes sense. There could be situations where programs want to get outdoors a lot more but not necessarily fully outdoors. And certainly they could learn a lot from you. Speaking of which, what do you think are some of the keys to success of having an all-outdoors program? And what are some of the challenges? FRANZ: Yeah, so I think that partnering with families is a huge thing. So helping them to understand what their child needs to be successful outdoors, including how to layer their clothing. So one of the things I would like to mention is that outdoor preschools right now cannot be licensed because people don’t know how to license us. And so one thing that we’re doing is we’re part of this outdoor preschool licensing pilot through the Department of Children, Youth and Families here in Washington state. We’re the first state to do it. And I think that what that will do is able to create a set of best practices for doing this kind of work. And it’s really exciting, and it means that more and more children will be able to have this type of childhood that I think – especially with screens and technology – is just not happening anymore. So I think these regulations are a big step [towards] sort of making it happen, and even more partnering with families is a big one. Finding really passionate educators who are willing to be outdoors for a full day in the rain, in the cold, in the snow, is a big one and I think there are a lot out there that need a place like this to feel fulfilled. SPREEUWENBERG: Yeah, that’s true, too. That’s the flip side of it is I’m sure that the teachers get a lot out of being outdoors as well, right? I mean, there’s I think a lot of research, both scientific and anecdotal, that says being outdoors is really great for your own health. So there’s that side of the coin, too. The licensing thing is really interesting, that pilot, because that would potentially really open things up to both the state of Washington and other states and provinces, as well, to look to that pilot. Any sense of timeline on when that’s happening? FRANZ: Yeah. So over the past two years – and Tiny Trees especially, along with a few other all-outdoor or partly-outdoor preschools here in Washington – have been providing feedback and helping to write the regulations, which I think is huge, over the past two years. So right now we’re at the point where a full draft of the regulations has been completed and we’re just waiting basically for a legal review. And so it could be as soon as January when we’ll get sort of like a pilot license. And that will also allow us to do even more than four-hour day if we want to, to provide more support for working families. It will invite us to be able to offer even more scholarships for students. So we’re hoping that early next year, early 2019, will be sort of the time for outdoor preschool. SPREEUWENBERG: Wow, very cool! I’m surprised that we’re that far along and you’ve managed to make such far progress. I didn’t realize we could get to the point of having licensed, all-outdoor programs as close as next year. Very cool. Rachel, if I’m listening to this podcast right now and I’m thinking, “This is very interesting. 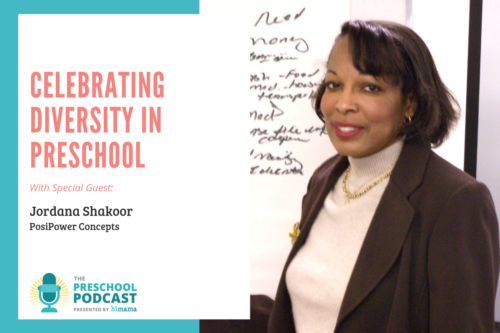 Maybe I’m a director [and] I want to open a preschool that’s all outdoors,” or, “I’m an early-childhood educator and I really want to bring this idea to my current team,” what are some good resources for me to go check out? Where can I go and learn more about programs that are all-outdoors, and maybe about Tiny Trees, specifically, too? FRANZ: Yeah, so if you want to check out Tiny Trees we have a fantastic website. It’s www.TinyTrees.org, and you can find my contact information on there. I’m more than happy to answer questions and set up times to either do workshops or talk to folks about this work. Other resources are Natural Start Alliance. They are a really fantastic group of people who are dedicated to getting kids outdoors. And then also checking out the State of Washington’s outdoor pre-school licensing pilot to see sort of what that means and what that looks like from a childcare regulation standpoint. I think it’s a great, great tool. SPREEUWENBERG: Awesome. Thanks so much for sharing those resources, Rachel. This has been fascinating. I’ve learned so much. And I can’t believe again we’re so close to having that be a licensed opportunity for all-outdoors programs. Certainly a lot of progress. [It] will be interesting to see where things go and [we] look forward to staying in touch, Rachel, to hear more about how things go for Tiny Trees. 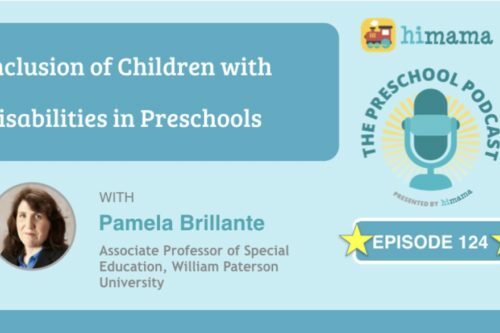 Thanks so much for coming on the Preschool Podcast. FRANZ: Thanks so much for having me, Ron.